Constructed of the highest grade MDF, engineered for durability to prevent warping and last a lifetime. 8-stage painting and finishing process. Floor-standing vanity. Contemporary, unique design is perfect for a cutting edge powder room application. Single-hole faucet mount. Includes White Man-Made Stone counter. 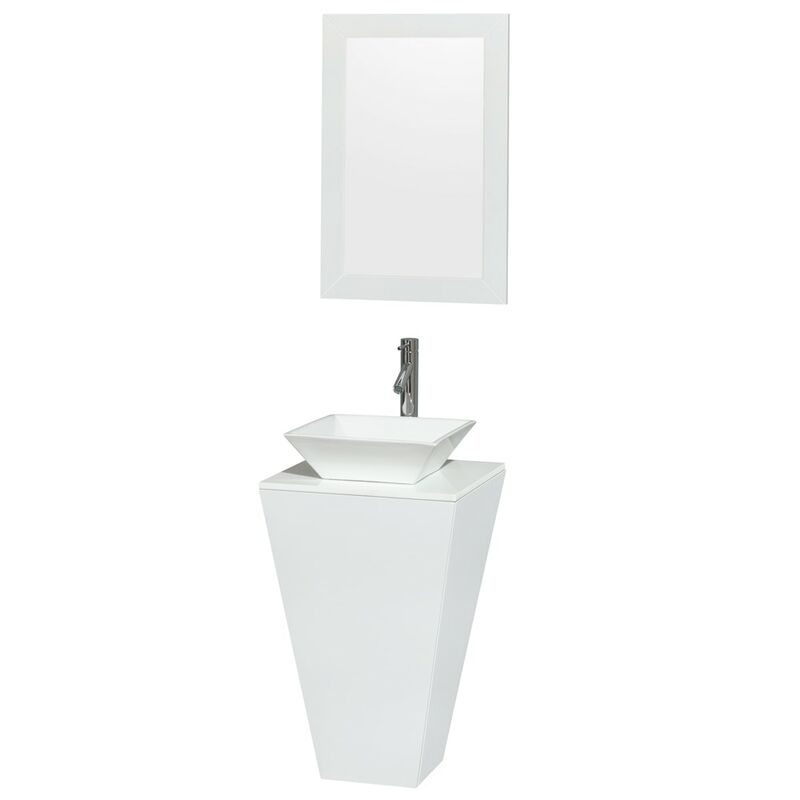 Includes choice of glass, porcelain or optional granite vessel sink. Includes matching mirror. No external hardware. No drawers or doors. Faucets not included.